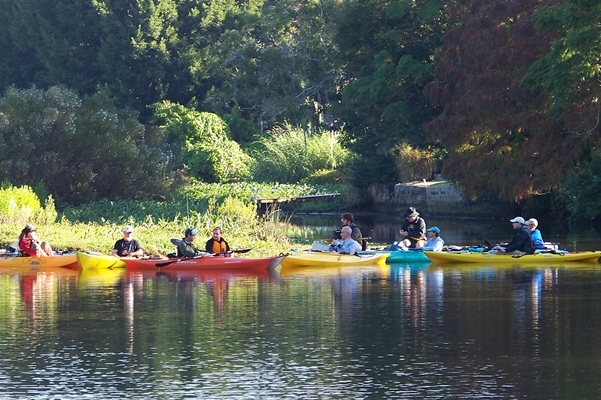 Volunteer the morning of October 28th to paddle Phillippi Creek with us! We are seeking community leaders, students, aquaholics, and do-gooders alike to join Keep Sarasota County Beautiful and Sarasota County Stormwater Science and Outreach team to help with a cleanup of Phillippi Creek as part of the international coastal cleanup effort this fall! On October 28th water stewards and citizens WORLDWIDE will get their feet wet in an effort to beautify their waterways, bays, and oceans. Did you know that the equivalent of 22,000 jumbo jets of plastic enters our waterways annually? Together we can fight the scourge of trash in our oceans, volunteers picked up over 18 million pounds of trash in 2016 alone! If you want to join the fight against ocean trash or just enjoy a good day on the water, then you owe it to yourself and your underwater backyard to come out and join us. Please contact Nicole Iadevia with the Sarasota County Stormwater Science and Outreach team with any questions (niadevaia@scgov.net). Bring your own kayak gear, and we’ll provide the clean-up tools, bags, and a commemorative t-shirt! We’ll send more details when you register.